How to send a parcel to USA? 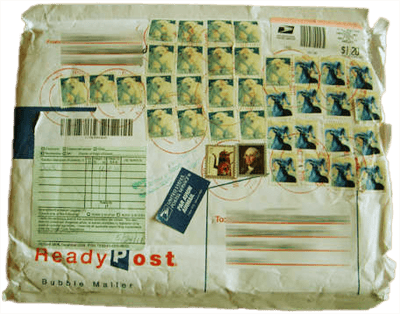 If you do not want your parcel to get lost on the way to the United States or if you want to avoid the situation when it is sent back to you at your expense due to a problem at customs there are a few simple rules that you may want to fallow. Before you go to your local post office or your call an international courier to send the parcel to USA you need to find out if the items you are about to ship are not on the restricted or prohibited items list. Also each state may have different laws so it is worth checking it with the destination state too. Make sure your parcel has the right dimensions. Depends on the parcel company you chose the length limits are 1,5m or 2 meter. The sum of girth and length can’t exceed 3 meters. The weight limit may vary. Usually it is 20 or 30kg. For bigger and heavier items you will have to use a standard shipping to the USA service. Pack the parcel carefully. Keep in mind that it is a long way. The parcel will travel for a long time. If you send it by air it will be up to a week. If you want to make it cheap you can send it by sea but this will take up to seven weeks before the package will be delivered. The packaging must be strong and well fitted to the size of the item. If you can’t find the appropriate box fill the empty space inside with paper, foam, bubble wrap or a foil. Make sure the item inside the box is not loose. Remember not to glue or tape your parcel. The post office, UPS or every other courier will check its content and will give you a form to fill in - the customs declaration. You will need to specify the Address of the Addresser and the Addressee. You will also have to describe the contents of the parcel, provide the inventory and explain what’s the reason for sending the parcel. Your courier will provide you with a unique tracking number. You should be able to track and check where is your parcel via a website. Most delivery companies provide such service at no cost. By selecting the appropriate item in the menu of the site, enter the ID number (it's written on the document that will be issued and given to you by the parcel shipping company). How much does it cost to send a parcel from UK to USA? 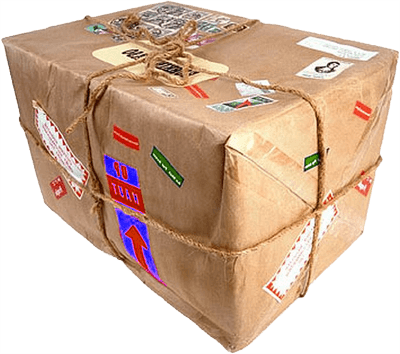 If you want to send your package as cheap as possible first you should decide on the shipping method. Of course shipping by air is more expensive than sea method. Everything depends on how quick you need your box to be delivered. If you are not in a hurry you can send it by sea. If you want the parcel to be delivered within a couple of days you have no choice but air freight. Put the items you want to send to United States in to the box. Fill up the empty space with appropriate wrapping and cushioning materials. Use Google, MSN or Yahoo and find as many international parcel delivery companies as you can. Write a short message with your collection and delivery Addresses, the parcel weight and dimensions, shipping date and ask for the price door to door by sea and air. You should receive some shipping prices. Compare the parcel delivery costs and the job is done. You will see that the prices will vary. They can be from £2,50 up to £7 per kg. Get a free parcel delivery quote from us online! Sending boxes and parcels from the UK to USA does not have to be expensive. Contact our courier company to compare our prices. We have built a network of international parcel delivery couriers covering the entire United Kingdom. With us you can send a parcel to any European county - France, Germany, Belgium, Holland just to name a few. We also specialize in cheap courier services to USA. Send your parcel today and keep a track of how it travels from your home. The parcel tracking facility is available to you 24/7.